If you read our last interview with director/producer Michael Fresco, you should already know that I am currently on an emotional vacation to the remote Alaskan town of Cicely, Alaska. My feet are still planted in southern Spain at the moment, but my heart is in Cicely as I discover for myself just how beautiful the hit comedy Northern Exposure truly was, and always will be. That being said, I have found my favorite Cicelian to easily be the kind hearted and genuinely sweet Ed Chigliak. There just isn’t anything in him that is NOT meant to be loved. The half Native American-half white film buff is the sort of person we all hope to have in our lives, and should be eternally grateful when they do enter our lives. Each time his smile lights up the screen, it is like the sun breaking through the clouds. 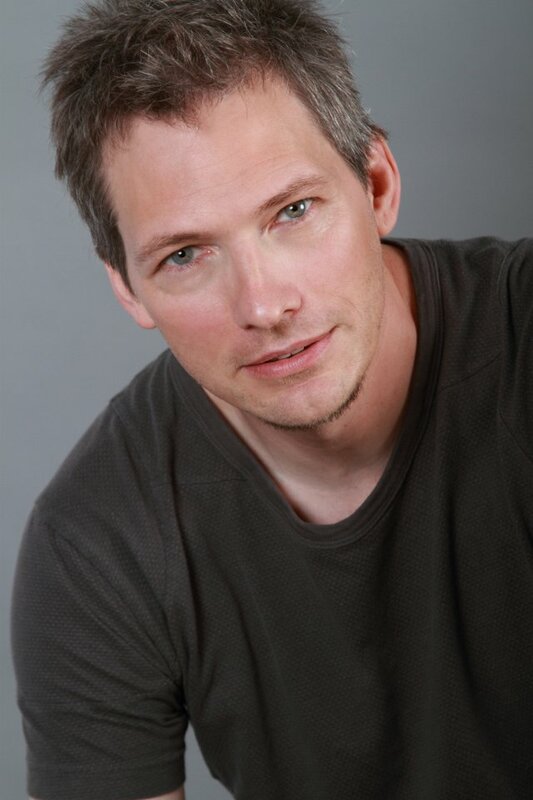 In fact, of all the discredits that Northern Exposure received, the fact that Darren Burrows did not take home at least two Best Supporting Actor Primetime Emmy’s, and maybe a Globe as well, for his role as Ed is shocking and unjust. But, those are really just statues in the end, although they have been given out to some very deserving folks at times. But, I digress. The real point of everything here is…..we got Darren Burrows! Yes, I have to say that I could probably just close up shop here at Trainwreck’d Society right now! I have managed to steal a few words from the man who played my favorite character on my favorite television show of all time. Mission accomplished. For those of you who have not had the joy of experiencing NoEx for yourself, well there is obviously something wrong with you but that’s okay, Darren should still be no stranger. May comparisons have been made between this great man and other legendary actor Johnny Depp. With their chiseled good looks as a youth that have not faded as they reach maturity, it is easy to see that Johnny was the 80’s man, and Darren was the 90’s man. Which can be truly seen with all its glory as they co-starred with one another in John Water’s lovely bit of weirdness that was Cry Baby .This was until we started to soften up a bit towards the end of the 90’s, but that is a whole other story. Mr. Burrows even happened to appear in a great little television movie entitled The Siege of Ruby Ridge, which we should all know as the adaptation of our old friend Jess Walter’s book Every Knee Shall Bow. He has also had great performances in films like The Hi-Lo Country, Speilberg’s Amistad (which if you are a NoEx fan, you will know that is this a BIG deal), and Nonames. Most recently he brought on a tour-de-force appearance in one of the finest films of 2014, Love is Strange opposite John Lithgow and Alfred Molina. I am just too damn excited for words to explain how wonderful it is to have Darren Burrows join the Trainwreck’d Society family. And it’s not only for his work on Northern Exposure, although I have to admit that is a huge deal for me. Mr. Burrows is an amazing actor that we are so proud to have associated with this site, even if it’s just for a couple of days. So finally, good folks….Mr. Darren Burrows! When was it that you knew you wanted to join the world of acting? I started taking acting classes after I got out to California…. I was 16 years old. I left Kansas to find my dad. 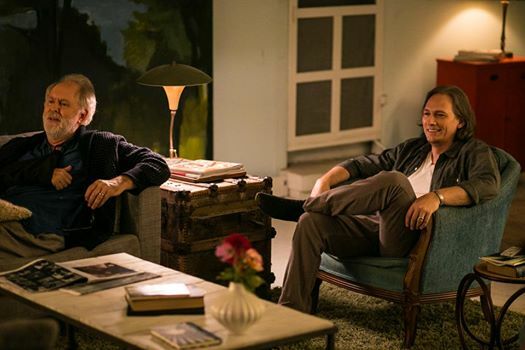 I found him and he was an actor, so I signed up for acting classes thinking that would give us something in common to talk about… I’m not sure I ever did make the decision that I was going to “be” an actor, things just sort of ended up that way. If you can recall, what was your very first paid acting gig? And how did that go for you? My first paid acting gig was 976-EVIL. It was Robert Englund’s (of Freddy Kruger fame) directorial debut. He cast me for the role of a hoodlum named Jeff and that got me my SAG card. I think I was 19 years old. I learned so much on that job, beyond emotion and dialog; how to hit my marks, fight scenes, special effects. It was a huge thing Robert did for me. 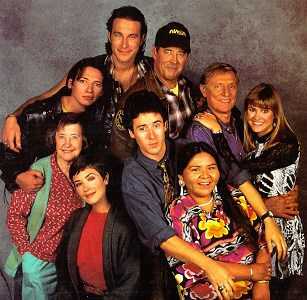 How did you first hear about the casting call for Northern Exposure, and what drew you to the role as Ed? The first I heard of Northern Exposure was a call from my agents about this summer series that was just supposed to be eight episodes up in Washington. One of my agents at the time had got it into his head that because my dad had played Native Americans I should too. He wanted me to audition for the part of this Indian kid in the show. I pointed out to him that I had white skin and light hair. He tried to convince me to put dark skin toner on my face, dye my hair black and go in for the part but I passed. Two or three weeks later my agent called again and said the part had been changed to half Native and half white. He begged me to just put some black temporary dye in my hair and go in. I finally relented but I told him I was going to play the part a little differently, in a less conventional way. In your own words and opinion, who was Ed Chigliak? How did you go about tackling this delightful character? You recently released both a book entitled Northern Exposed and a documentary entitled Return To Cicely that has caused quite the buzz. Can you tell us what fans can expect from both the book and the film? And what inspired you to finally do such a project after all these years? What sort of emotions were rekindled when you were revisiting the past in such a grandiose manner? Was it an overall good experience? When Northern Exposure ended after five years I sort of packed it all up in a box put it away and moved on… so revisiting it was it was like taking down that huge dusty box that had been sitting for all those years and unpacking it. It turns out there was more than just a television show in the box. There was a whole period of time in my life. It was more than I imagined it would be and I found all sorts of treasures I’d forgotten about. 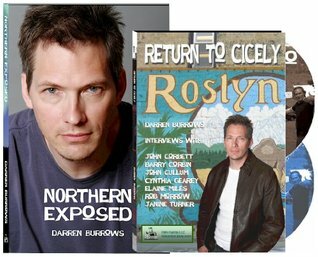 Had Northern Exposure been given the proper treatment, what do you think would have happened to Ed and the rest of Cicely had the show been able to keep going? That’s really the million dollar question isn’t it? …I think that Ed and Cicely would have gone on, continuing to grow and evolve much like the characters have done on Cheers, Friends or any other show that strikes a chord with the viewers and people out there. During its height NoEx was syndicated in forty-two countries around the world so it’s not such a stretch to see that continuity. Hailing from the Northwest, I am very aware of the Roslyn, the very small town that stands as most of what we saw as Cicely. It is quite isolated, but extremely beautiful. How did you enjoy your time out there when the show was filming? How did the local residents respond to the show being shot in their backyard and main streets? I loved shooting Northern Exposure there in Roslyn and the Cascade Mountains. As you say it’s very beautiful. It was a lot of work and long hours as well. The show caravanned up for 3-5 days out of an 8 working days an episode schedule to shoot all of our exteriors in the winter weather. Sometimes we’d get snowed in and the work days were always more than 12-15 hours long. Shooting Northern Exposure was certainly a disruption on the daily life there. Some of the residents were for it, some were against. Can you tell us a bit about your latest film, Love is Strange? What will we be seeing you do in this film that so many are raving about? Love Is Strange takes place in New York City. It’s a multi-generational story of love and marriage. As such we have John Lithgow and Alfred Molina as Ben and George as an older gay couple of 39 years finally tying the knot. I play Ben’s nephew Elliot and my wife Kate is played by Marisa Tomei and then we have Joey, Elliot and Kate’s son played by Charlie Tahan. Each of these people are at different times and stages in their love and relationships. All is thrown into turmoil when George loses his job and Uncle Ben must temporarily move in with me and my family until he and George can get their situation sorted out. What else does the future hold for you? Any other projects in the works you would like to tell us about? What the future holds for me I suppose remains to be seen. As of the answering of these questions I’m getting ready to head up to Wisconsin for a little film festival my friend Nick Langholff and I started a couple of years ago called the Driftless Film Festival. Life is certainly an adventure. I’ve followed Darren on Facebook for about three years and came here via his linking to it. What a great interview of a truly classy actor and human being. Thank you! Thanks, This Interview was very refreshing.